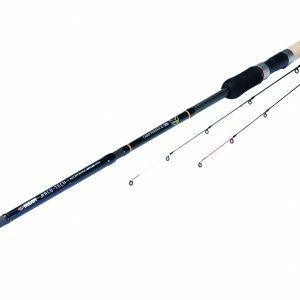 The Middy Reactacore XZ 10 ft 6 in. Mini Commercial Feeder Rod comes under the beady eye of Angler’s Mail tackle editor Richard Howard. He’s the No.1 products inspector, checking out loads of quality kit every week. The Middy Arco-Tech K-306 10-11 ft Carp Feeder Rod comes under the beady eye of Angler’s Mail tackle editor Richard Howard. He’s the No.1 products inspector, checking out loads of quality kit every week.